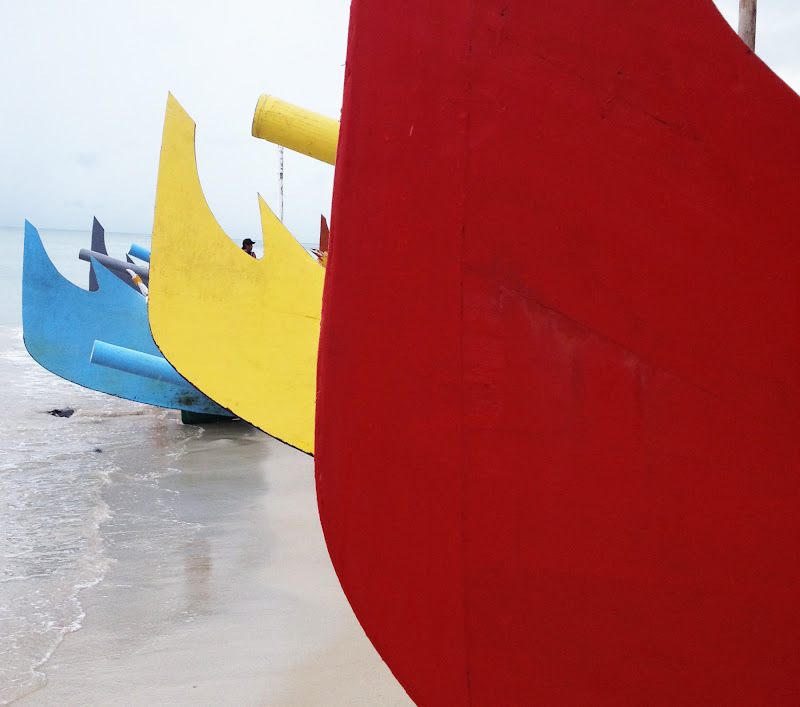 Visitors come to Belitung to see the granite speckled beaches made famous by the domestic blockbuster movie, ‘Laskar Pelangi’ and to go island hopping off the north-western part of Belitung. 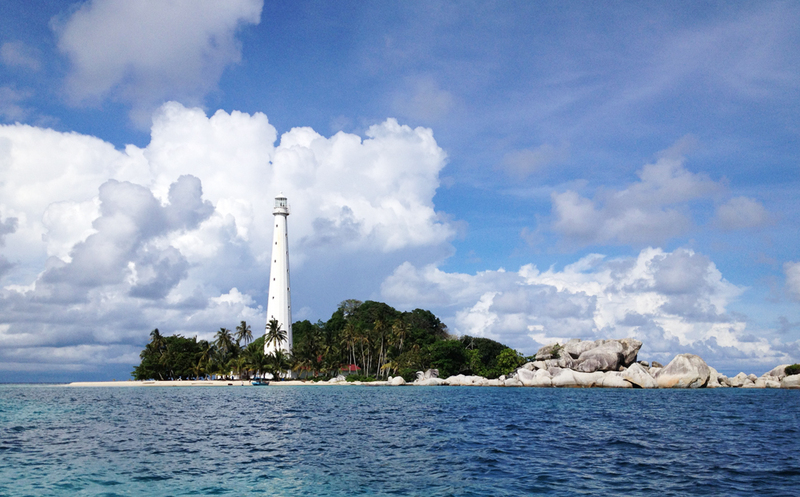 However, the rest of Belitung Island should not be missed. Driving through the beautifully paved roads (which is so rare in Jakarta we were raving about them) of Belitung took us through a small Bali village in the middle of palm plantations, small fishing communities, and the much less visited beaches on the eastern side of the island. 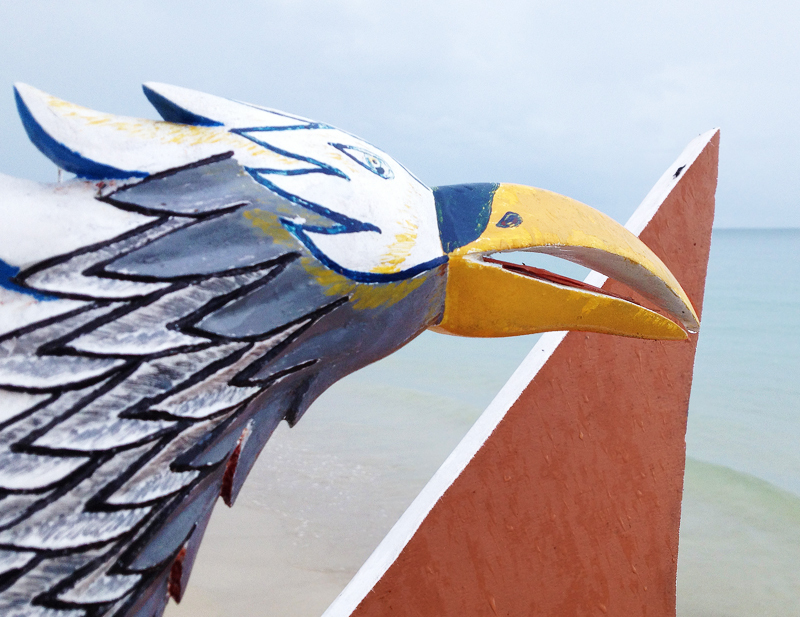 Our favorite beach on this side of Belitung is Pantai Serdang (Serdang Beach) near Manggar. It’s not the prettiest beach in Belitung, nor is it the beach with the whitest sand. Its attractions lie in the colorful fishing boats and the activity going on here. We arrived around 2-3pm when the fishermen were just arriving back to shore with their daily catch. 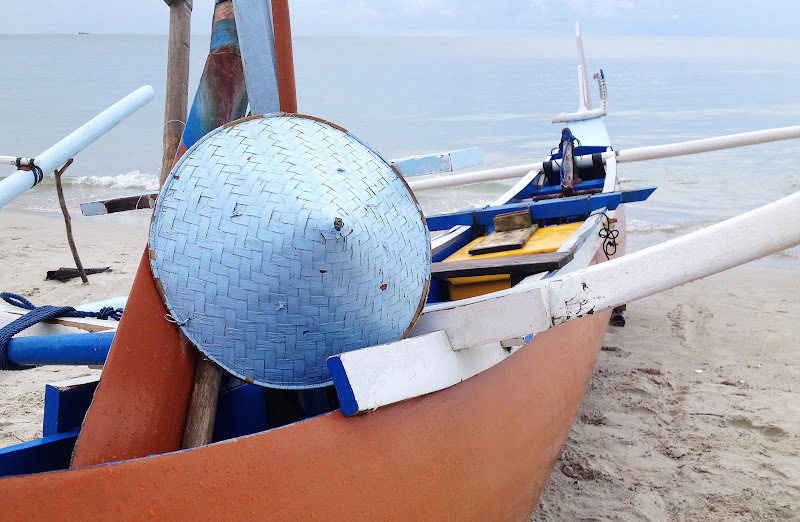 The colors of the ‘katir‘ boats caught our attention and we spent sometime wandering the beach taking pictures, talking to the fishermen, and in general getting in their way. 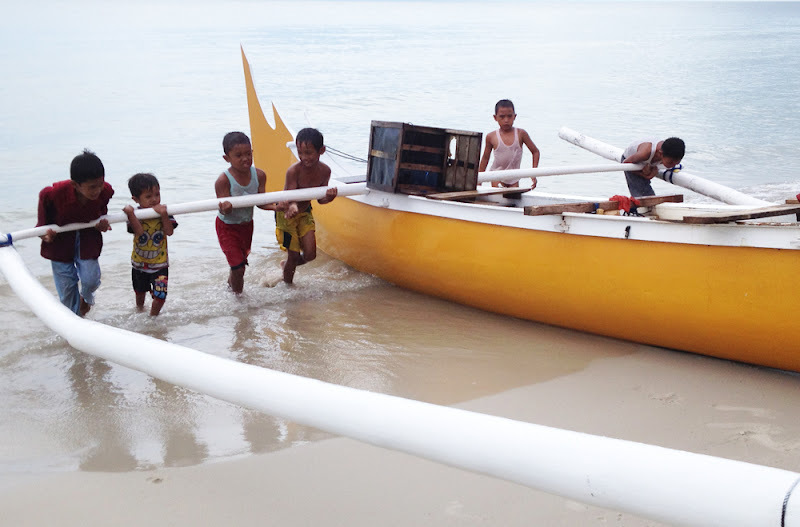 How many kids does it take to push a boat to the beach? There were restaurants lining the beach ready to grill whatever you’ve just bought directly from these fishermen. I highly recommend it – there’s nothing quite like freshly grilled fish, with a pinch of salt, and some ‘sambal‘ to spice it up. No umbrellas, no lounge chairs. 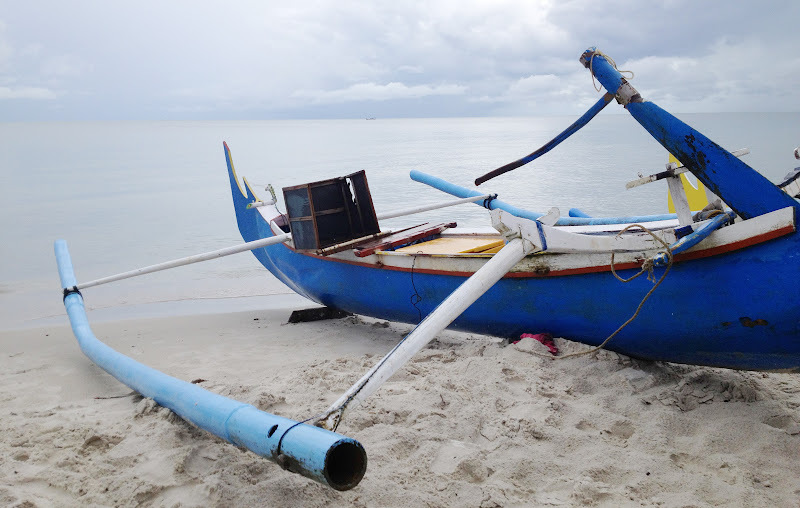 Just some fishermen, their catch of the day, and their colorful boats. Does this sound like your kind of beach? Parasols and deckchairs really ruin a beach don't they! the view looks awesome! It's really fantastic! Wish i can go there! the kids looks so adorable! Yep. They keep the fish in iceboxes/coolers. I love the looks of those wooden boats. How colorful! Everytime we go to a beach destination on our travel I like to check out the locals' beaches as well. Lounge chairs and umbrellas are nice, but they can feel too sanitized sometimes (think Yucatan, Mexico). We lived in Indonesia in 2010 and have been back twice. I remember those colorful boats well. I love Indonesian beaches. One of my favorite memories is of visiting Pantai Lasiana near Kupang and eating corn on the cob, freshly grilled at one of the beachside stands. 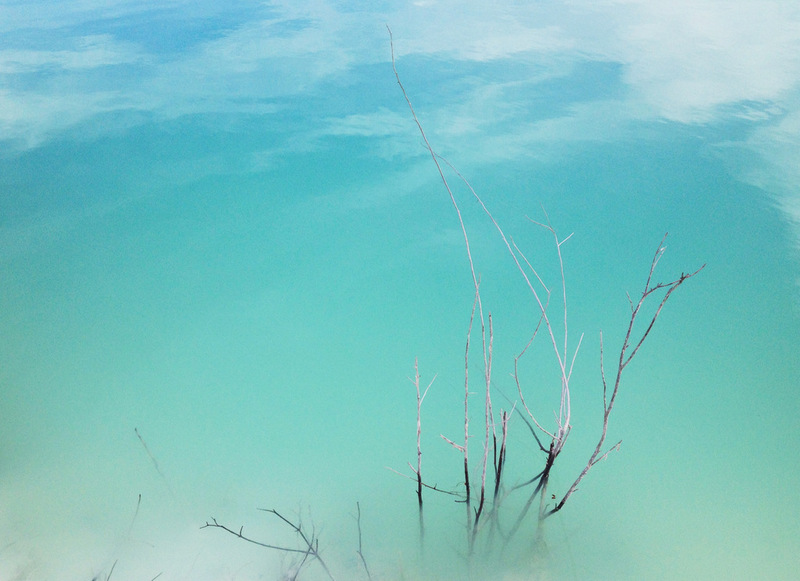 Love the boldness of the colours and the close-up shots you've done. The beach looks lovely and not the least commercialized – a big bonus in my mind. Love the boats, too. They're so pretty, the colors so vibrant. Sambal is my absolute favorite style of chili to spice up my food. You can get it in Chinatown in the states. It adds flair to almost dish. Sounds like an awesome and authentic experience you had at the beach! Love it, because I love fishing boats, fisherman, all things fishy!